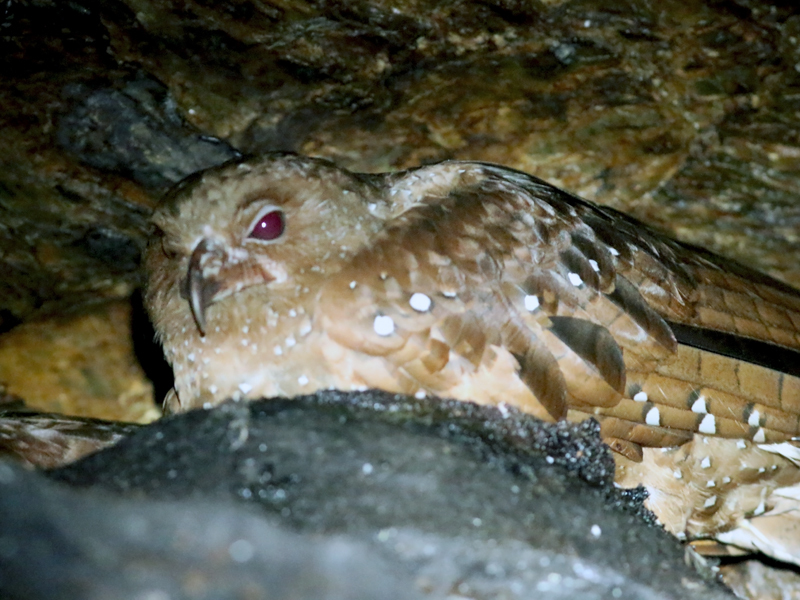 Using a flashlight, we were able to spot several Oilbirds roosting just inside the cave entrance. These almost mythical birds are the only nocturnal flying fruit-eating birds in the world, using a combination of echolocation (just like bats!) and specially adapted eyesight to navigate in the dark. They live in caves, and produce the most guttural, haunting sounds you can imagine. What a surreal experience.